Researchers from Brown University have built a new smart material that combines the strength of graphene oxide and the oil-repelling ability of an alginate hydrogel. Not only is the material is stronger than pure alginate — the base material for many biomedical devices — but it can also change its attributes according to the state of its environment. Alginate is an organic biomaterial derived from seaweed. It is widely used in biomedical applications such as bio bandages. However, alginate-based hydrogel structures break apart very easily if they are exposed to mechanical stress or low-salt solutions. 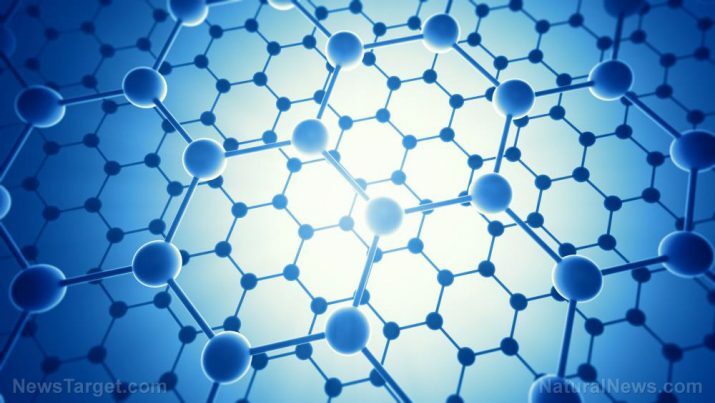 In their study, researchers increased the strength of an alginate hydrogel by adding incredibly strong yet thin nanosheets of graphene oxide. The Brown researchers tested the properties of their new material as a photoactive polymer solution in 3D printing. They used the stereolithography printing technique, which employs an ultraviolet laser to sear a pattern across the surface covered by the alginate-graphene oxide. These ionic bonds will hold together unless they encounter certain chemical treatments that steal the ions from the internal structure of the material. Thanks to this dynamic reaction to different external stimuli, the alginate hydrogel could form and degrade 3D structures as needed. In the experiment, the 3D structures formed by the bonded polymers of alginate-graphene oxide demonstrated twice the stiffness of pure alginate. The shapes were also less vulnerable to cracks that could cause the structure to fracture and fragment. Researcher and senior author Ian Wong explained that graphene oxide increased the stability of alginate hydrogel through hydrogen bonding. The graphene nanosheets are distributed throughout the 3D structure, where they prevent cracks from breaking through the alginate. The increased stiffness allowed Wong and his team to 3D print overhanging parts out of alginate-graphene oxide. These structures are normally impossible with fragile alginate, but the graphene gave the material the strength to support those shapes. When they applied a chemical that extracts ions, the smart material swelled up and grew softer. The softening process was reversed by bathing the materials in ionic salts that restored the lost ions. Adjusting the hardening and softening process was a very easy process that allowed fine tuning of the stiffness level. It could, therefore, be used in applications like the study of dynamic cell cultures. “You could imagine a scenario where you can image living cells in a stiff environment and then immediately change to a softer environment to see how the same cells might respond,” said Thomas Valentin, who worked alongside Wong. In addition, alginate-graphene oxide did not lose any of its oil-repelling properties. Tests showed that a coating of the material prevented oil and grime from accumulating on the protected surface of a glass that was in very salty conditions. “These composite materials could be used as a sensor in the ocean that can keep taking readings during an oil spill, or as an antifouling coating that helps to keep ship hulls clean,” Wong suggested as another potential use for their new smart material.